Experiment with permutations and combinations of a number of letters represented by letter tiles selected at random from a box. 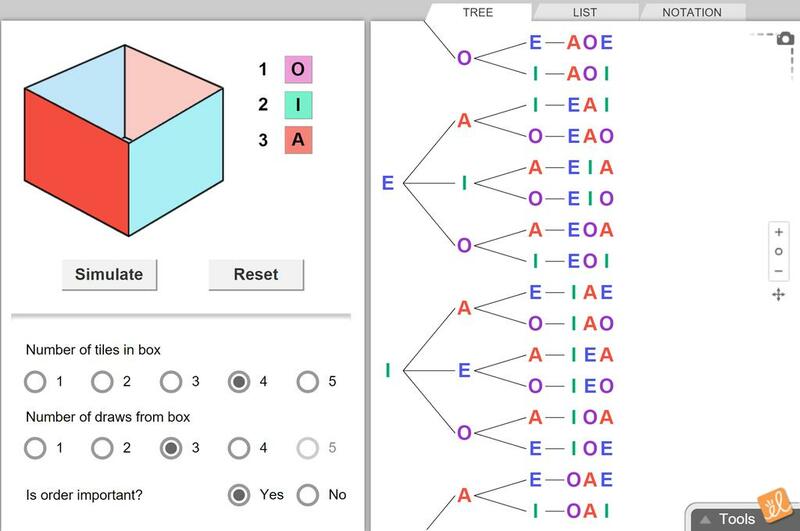 Count the permutations and combinations using a dynamic tree diagram, a dynamic list of permutations, and a dynamic computation by the counting principle. Gizmo provides good intro to the difference between combinations and permutations.